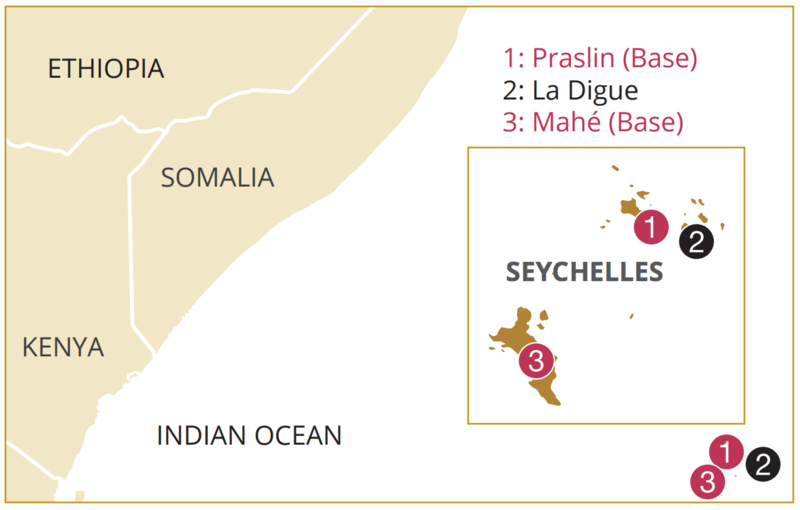 Just under 1000 miles from the southeast coast of the African continent lies the beautiful archipelago of Seychelles. 115 islands make up this nation, known for its splendid, unspoilt beaches and incredible water activities. Seychelles is an ideal sailing destination. With a hot, tropical climate year round, the waters are refreshing, generally remaining a comfortable 81°F (27°C). 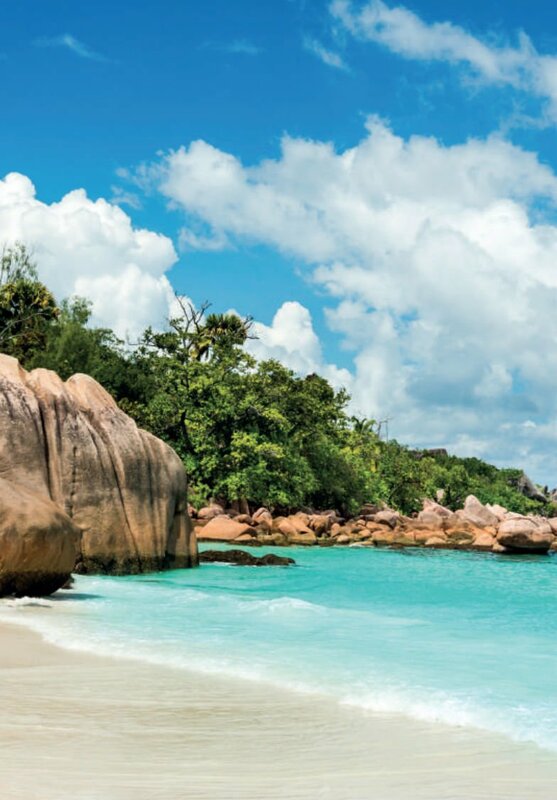 Along with cool ocean breezes and pristine, calm waters, you’ll find the Seychelles an amazing place to explore. 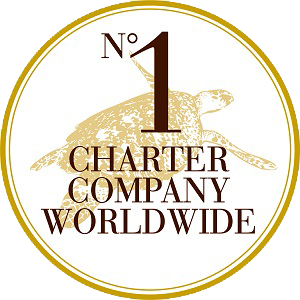 With the freedom of your yacht charter, you can discover as many of the islands as you choose. Although Seychelles is a popular tourist destination, there are plenty of secluded beaches to enjoy, and you can moor your yacht quite easily and disembark onto the spectacular shorelines. When you’re not relaxing in the shade of a sweeping palm tree, you might want to immerse yourself in those incomparable turquoise waters. 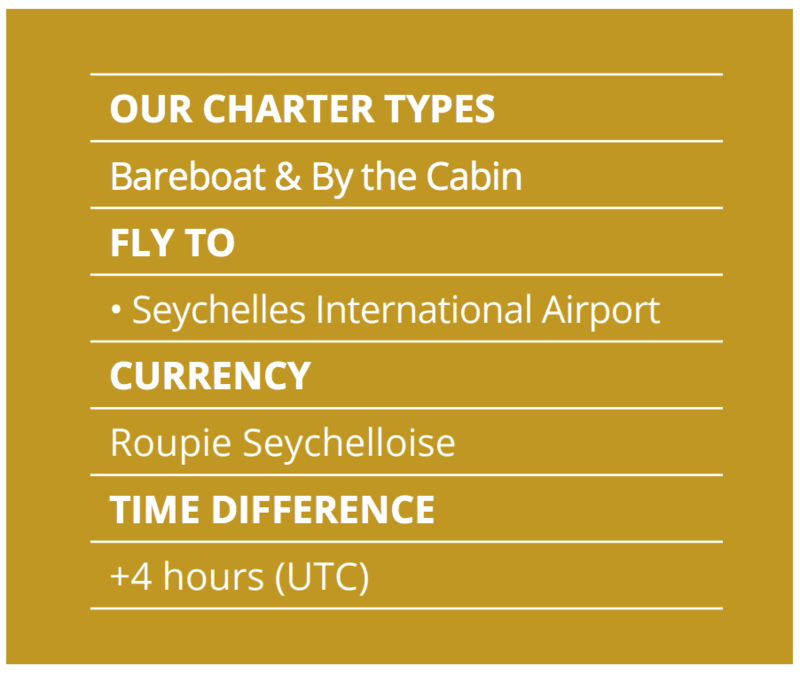 The Seychelles offers wonderful opportunities or snorkeling, diving, and swimming, as well as other water sports. Have you ever given windsurfing a try? You just might get your chance on your next vacation. There’s coral aplenty to be appreciated. Sail your chartered yacht over to the Aldabra Atoll, a 22 mile stretch of coral that’s the longest in the world and surrounds a stunning lagoon. You’re very likely to spot tiger sharks in this area as well as a host of other marine life. Keep your eyes peeled for the giant land tortoise; more live here than any other place on earth. For some onshore fun, there are several great hiking trails in Seychelles, leading to stunning views. A two-hour journey along the coast between Beau Vallon and Anse Major will bring you to a secret, gorgeous beach. After hiking, explore one of the many island markets, shops, or art galleries. Downtown Victoria has a great local market with delicious produce and intoxicating local spices for sale. On the main island Mahé history buffs will delight in the six museums and the various national monuments, and nature-lovers will revel in the botanic gardens. However you choose to spend your time on the island nation of Seychelles, you’re bound to have an unforgettable yacht charter vacation you’ll be talking about for years to come.